What a great day we had last Sunday! Jen made us cookies! Homemade cookies? Don’t mind if I do! 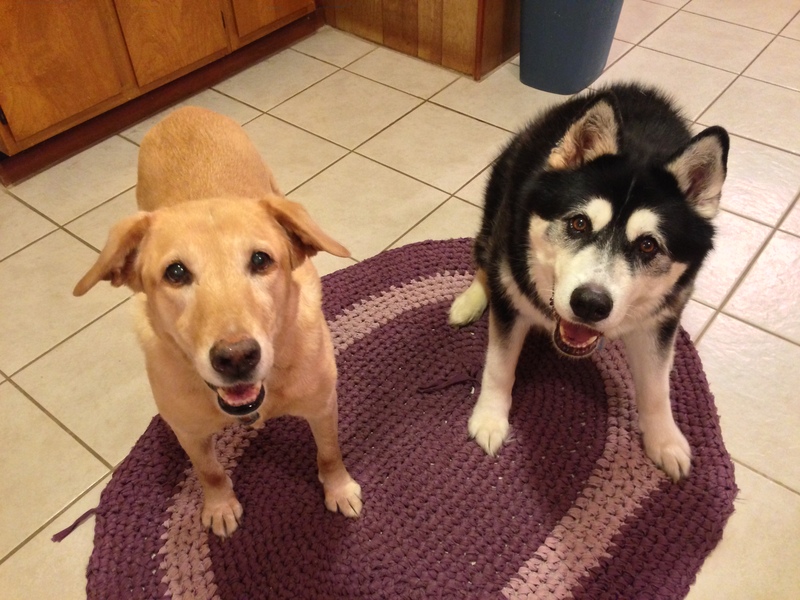 This is us begging for one of those cookies! Want to make your own? 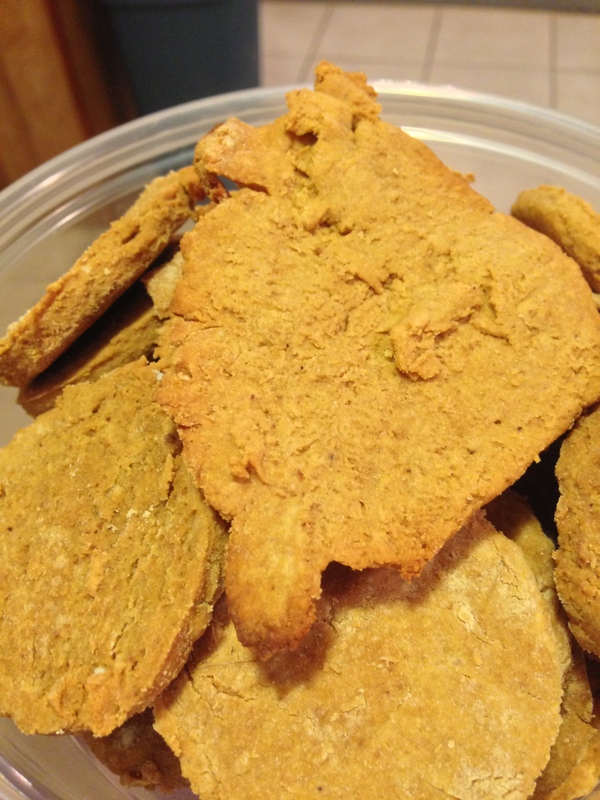 Jen used the recipe at Brown-eyed Baker, substituting 1 3/4 cup chickpea flour for the 2 cups whole wheat flour. Wow, they look amazing. Will Jen publish her homemade cookie recipe? Wow! Those are some good-looking cookies! The dogs had to leave the room. You were making them too hungry! Those expressions say it all. Obviously very, very good cookies. Homemade cookies and snacks are the best! A just reward for ‘helping’ in the kitchen! Hmmm. They do look good enough to eat. Enjoy. Oh yummy – those look good enough for the humans to eat! Oh, they certainly look yummy!!!! For this look I would give you all! NOTHING says LOVE like HOME MADE Cookies!!! Yes, they are, but they aren’t sweet so your human might not like them very much. Mmmm, you’re making me hungry, Rumpy. Actually, I guess I am always kind of hungry 🙂 So now I am extra hungry! Look how happy you are!! Those cookies must have been good! Homemade treats are the best! But – hey, it’s not Christmas yet is it?? That’s irresistible, both, the cookies and your cute faces. Yummy! 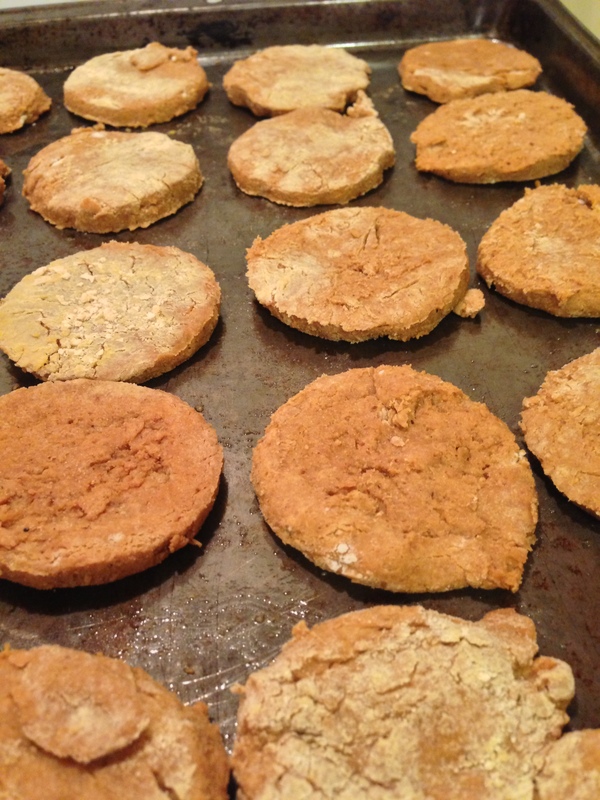 What a great idea, using chickpea flour instead. I see 2 furry Cookie Monsters! and who could resist you both! Mom says she is going to make us cookies soon, maybe we will have her try these too – they sure look yummy. Cooooookies!! Don’t mind if I do. Those look great! Hope you got to savor a while bunch!! Much love, The Scottie Mom. Oh those smiles are worth a million cookies! Although Jen would have to bake for a long long time. Your mom is soooo good to you. Those cookies look so good and you and DeDe look as though you’ve never eaten before.